Please visit our Scholarships page for current opportunities! Incorporating the principles of toxicology into the chemistry curriculum prepares the next generation of chemists to evaluate the hazards associated with the substances they use as part of their craft and provides the requisite tools to design safer, healthier and sustainable products. The Sustainability and Green Energy (SAGE) Across the Curriculum program at Bristol Community College was created to answer the growing demand for young technicians and engineers that can lead our nation and world into sustainable patterns of energy use and construction that will be more efficient, cleaner, and drawn from sources that are abundant and renewable. In addition to restructuring BCC's Engineering technology curriculum, the program recognizes that a technical workforce cannot succeed without comprehensive educational preparation. To that end, SAGE aims to increase professional development of college, high school, and middle school faculty, outreach to students, and introduce both to SAGE education and career options. Apply now for a paid summer internship within Massachusetts' growing clean energy industry! Harness the power of the wind in your classroom! Use the ALTurbine to demonstrate Wind Power Technology, engineering efficient blade design, generators and motors - and more! Twelve kits available for use in your classroom. Click the image above or visit our Lending Lab page for more information. 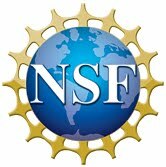 This material is based upon work supporter by the National Science Foundation under Grant Number: 1003418. Any opinion, findings, conclusions or recommendations expressed in this material are those of the author(s) and do not necessarily reflect the views of the national Science Foundation.